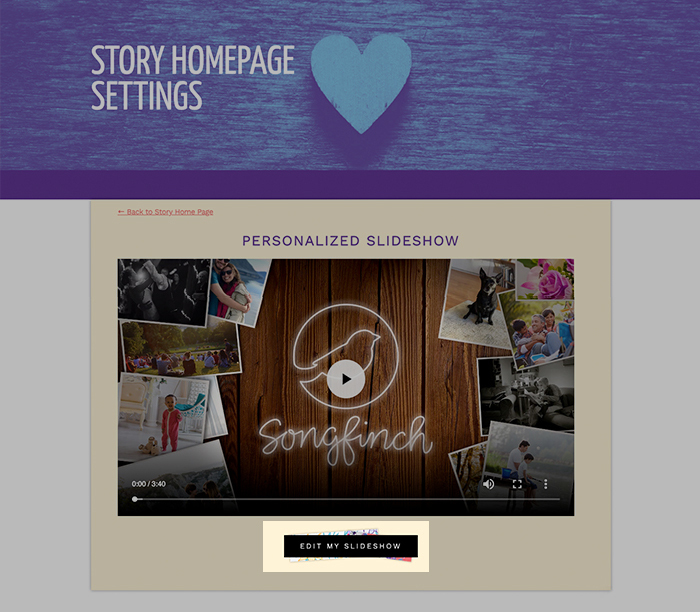 Building your slideshow before your Personalized Song is created can be tough since you don’t know where certain details will be included in the lyrics. 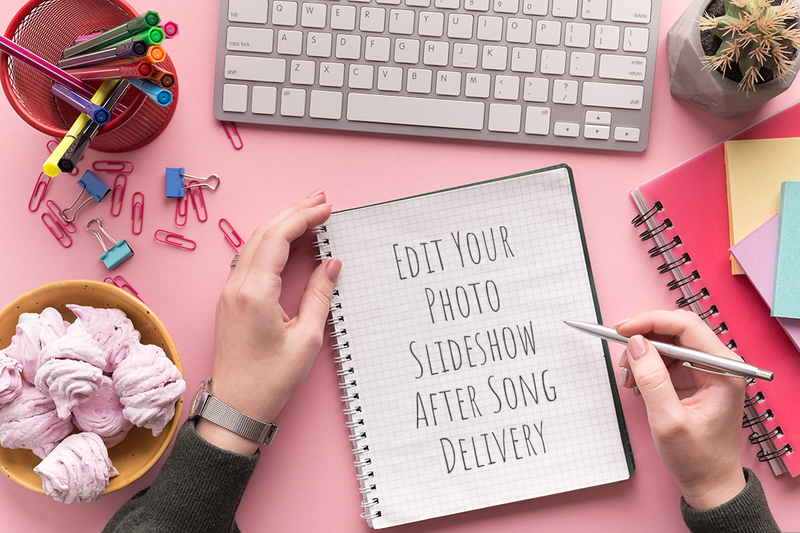 With this in mind, we’ve made it pretty easy to make changes to your slideshow after your song has been delivered and the first draft of your slideshow has been created. 1a. 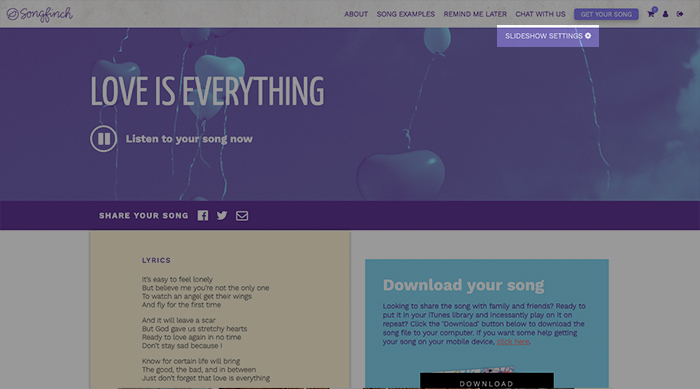 Login to your account and you’ll be redirected to your Songfinch Dashboard. Find the song you would like to edit and click “Settings” on the bottom right of that song card. 1b. Login to your account and visit your song’s Story Homepage. Click “Slideshow Settings” in the top right of the header. Both options above will dierect you to your Story Homepage Settings page, click “Edit My Slideshow” to be brought to your Photo Slideshow Dashboard. Current Photo Slideshow. 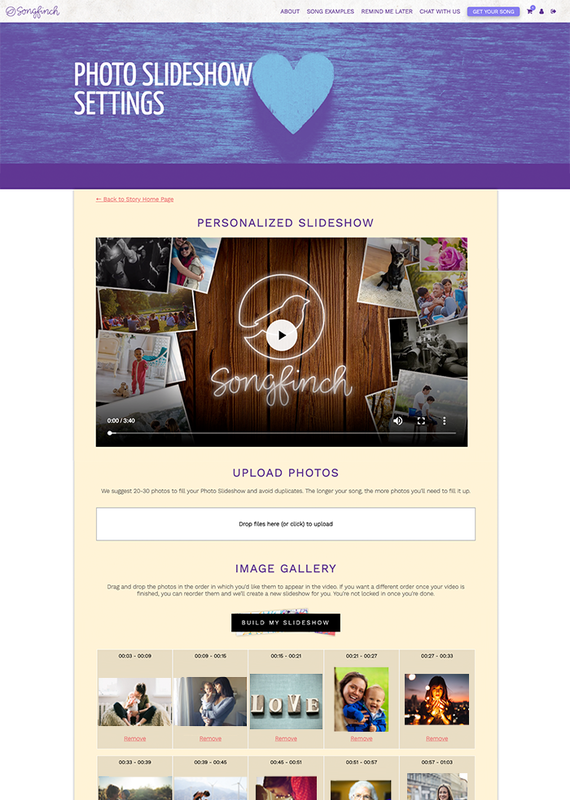 This is the current version of your Photo Slideshow and changes made on the page will not be reflected in real time. Photo Upload Box. You can click this box and select images from your computer or simply drag photos from your desktop to this box for easy upload. Image Gallery. 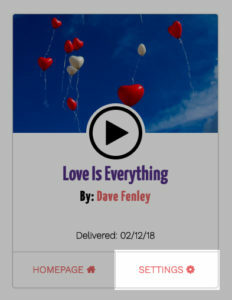 You’ll notice timestamps above each of your photos so you can easily align any photos with specific lyrics in the song. Each photo is visible for around 6 seconds. 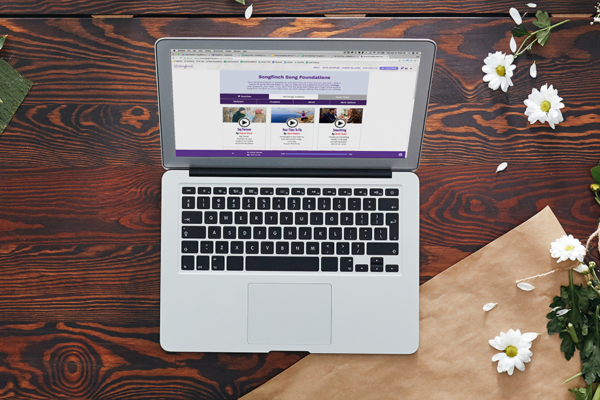 You can add and remove photos as well as drag and drop them to rearrange them within your Image Gallery. 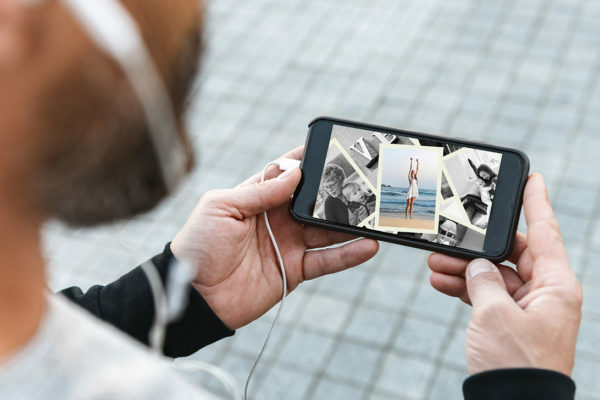 When you’re finished making changes and you’re ready to create your new Photo Slideshow, click “Build My Slideshow” above your Image Gallery and we’ll whip up a fresh slideshow for you. 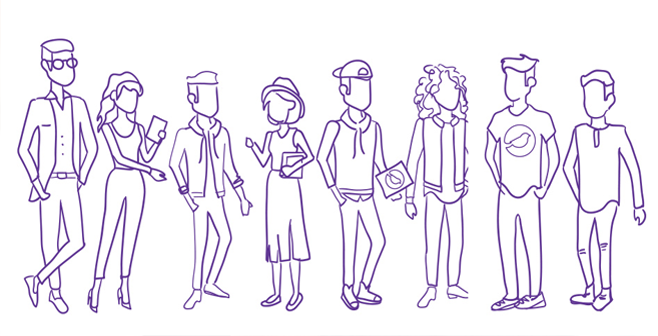 It takes about an hour and we’ll email you as soon as it’s finished and ready for you. 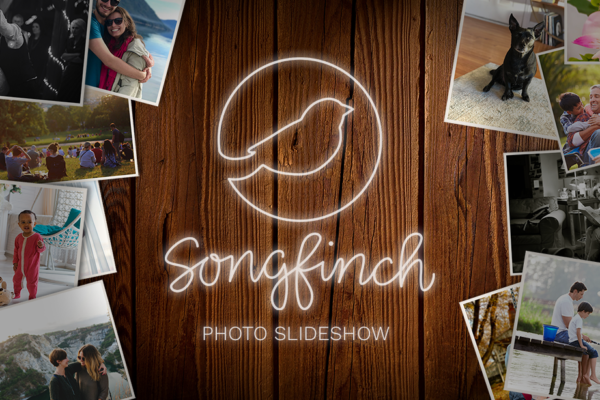 If you have any additional questions along the way, feel free to reach out to help@songfinch.com and we’ll be happy to help you out.